A jack of many trades and talents, Ed Kageyama oversees the entire 36-hole resort golf facility that is Ka'anapali Golf Courses. He manages 300 acres of turf and landscape maintenance, 100 employees, a growing retail operation, sales and marketing, finance, budgeting and accounting. However, his number one responsibility is to ensure 100% Guest satisfaction. Ed is a notable golf figure in Hawaii and has remarkable qualities that make him a great leader. 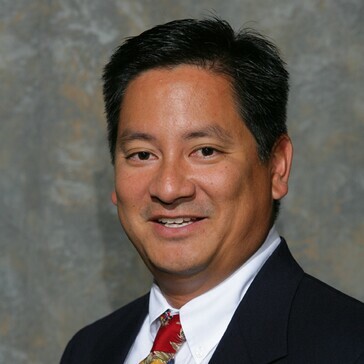 One would think his hands are full, but Ed is also the Past-President of the Aloha Section PGA (2003-2005) and currently sits on the Board of Directors and Marketing Committee for Lanakila Pacific in Honolulu. Ed is the Golf Director at Punahou School and the Boys & Girls Varsity Golf Coach – 2013 & 2014 State Champions. Kageyama was also voted the ILH Coach of the Year from 2007-2014 with 8 state team titles and 3 national titles. Prior to Kaa'napali Golf Courses, Ed was the General Manager and PGA Head Golf Professional for Luana Hills Country Club in Kailua, Oahu; PGA Director of Golf for The Links at Kuilima / Turtle Bay Country Club in Kahuku, Oahu; PGA Director of Golf for Coral Creek Golf Course in Ewa Beach, Oahu; Regional Operations Manager for Puakea Golf Course / Grove Farm Golf Course in Lihue, Kauai; PGA Director of Golf for Koolau Golf Course in Kaneohe, Oahu; and PGA Head Professional for Hawaii Prince Golf Club in Ewa Beach. He attended University of Washington - Jackson School of International Studies concentrating in international business. Kageyama was named the Aloha Section PGA Golf Professional of the Year in 2013 - recognizing Ed for his distinguished service in mentoring other PGA professionals, integrity and character reflecting positively upon the profession, and contributions to the community, the Section, golf on the Hawaiian Islands, and the growth of the game. Golf Inc. Magazine recognized Kageyama as "Most Innovative Operator" in 2013 for his creative programming at Ka'anapali with Fit Club, Golf My Way and the Wine, 9 & Dine programs. In 2010 Golf Inc. Magazine named Ed (for the second time) as one of the Top 20 Most Admired Golf Operators in the World for his work on Ka'anapali, as well as his Regional Manager position for Billy Casper Golf. Ed was recognized as the 2008 Merchandiser of the Year - Resort Properties for the Aloha Section PGA for his work on the redesign of the Golf & Resort Shop as well as the golf resort's new logo. Kageyama caddied for Big Break Ka'anapali winner Kim Welch in the Golf Channel's #1 series Big Break. In 2007 Ed was asked to be on the Bill Bowerman Nike Advisory Staff - he will test out the latest in equipment and apparel for Nike and help to provide guidance and feedback to Nike. On January 31, 2005, Ed appeared on The Golf Channel's Golf Academy Live to co-host the show with Kelly Tilghman, where he demonstrated the importance of finishing each golf swing in a relaxed position. This allows for the body to remain balanced and muscles relaxed. Ed then analyzed the swing of Patriot's quarterback Tom Brady and two women guests from the Big Break III. Ed was named Billy Casper Golf's General Manager of the Year for 2004 at their annual awards ceremony in Virginia.